Two hundred years after Karl Marx was born, a country he never visited is marked with reminders of his legacy. Russia’s most popular social network Vkontakte lists hundreds of people named after the German political economist. In addition to the 1,390 streets throughout the country that bear his name, there is a town called Marx on the Volga River. But nearly 27 years after the fall of the Soviet Union, one of the 19th century’s most influential thinkers has become an afterthought in the first country to implement his ideas as a political system. Leading up to the May 5 anniversary, Russian authorities chose not the mark the occasion at all. With authorities silent ahead of Marx’s birthday, academics and historians are picking up the slack. 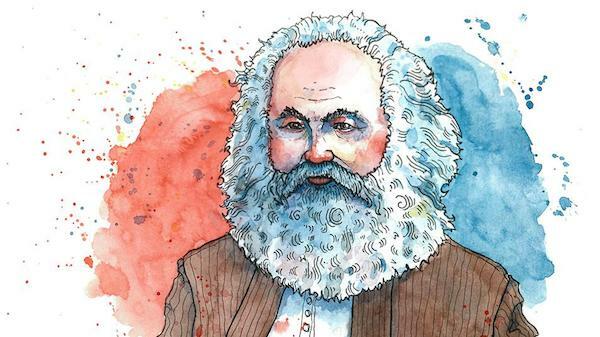 Throughout the year, universities and museums across the country are hosting conferences and exhibitions in the hope of keeping Marx, who argued inequality is inherent to capitalism, alive not just in the country’s ivory towers, but as a household name too. At Kazan Federal University, educators took a creative approach to their two-day long event at the end of April titled MarxFest. In addition to group discussions and speeches in the style of the popular TED Talks on Marx’s contributions to economic theory, organizers invited a local rapper to freestyle in hope of attracting students. To not know a person like this is embarrassing. A significant number of Russians, however, do not. According to the latest figures Levada shared with The Moscow Times, nearly a quarter of those polled did not know who Marx was. Of those who do, only a few considered him to be a leading thinker. According to Gudkov, in 1989, 35 percent of Russians thought of Marx as one of the top 10 greatest people to have lived. By the end of 1991 after the Soviet Union fell, only 8 percent did. Since 2008, the number has flatlined at three percent. Gudkov pointed to criticism of communism in the years after the fall of the Soviet Union as to why Marx has lost popularity. For the ruling elite, Gudkov said, once Russia’s dominant political ideology veered away from Marxism, his writings were no longer a politically expedient tool. And with the author pushed to the margins, his theories ceased to be a compulsory part of the curriculum. In contrast, Josef Stalin has seen a surge in popularity in recent years. Gudkov noted, though, that Russians retroactively hail him for building a great country and successfully defending it during World War II, not for his ties to the Soviet system. One such historian is Ilya Budraitskis, 37, who is currently teaching at the Moscow School of Social and Economic Sciences and writes for a number of left-leaning outlets. In a phone interview, he said he actually turned to Marx only after the collapse of the Soviet Union. Indeed, according to Budraitskis, social inequality will be Russians’ major concern in the years to come. According to a recent report by Credit Suisse, Russia is the most unequal of the world’s major economies, with 89 percent of the wealth owned by the country’s richest 10 percent. As long as that remains the case, Budraitskis, pointing to Marx’s resurgence since the worldwide economic crisis of 2008, believes Marx’s ideas will come become trendy again in Russia. Indeed, sales of his books have soared worldwide, and socialism as a potential political system has become increasingly popular in Europe and even in the United States. For now, though, a popular return to Marx’s ideas in Russia remains a ways off, says Budraitskis. Of those who know are familiar with him, the majority associate his ideas with the “dogmatic Marxism that was taught in the Soviet era” — a crude, simplified version, he argued, of the thinker’s understanding of the perils of capitalism. Still, because Marx offers a critique of capitalism, Andrei Kolganov, a professor of economics at Moscow State University, said his views will inherently come into vogue during economically difficult times. And if Russia’s economy continues to sputter, the Marxist critique could make a comeback. “I believe we will see what we are seeing happen around the world happen in Russia, too,” Kolganov said. Xiao Qing He contributed reporting from Kazan. Kim Jong Un’s move from nuclearization to denuclearization?